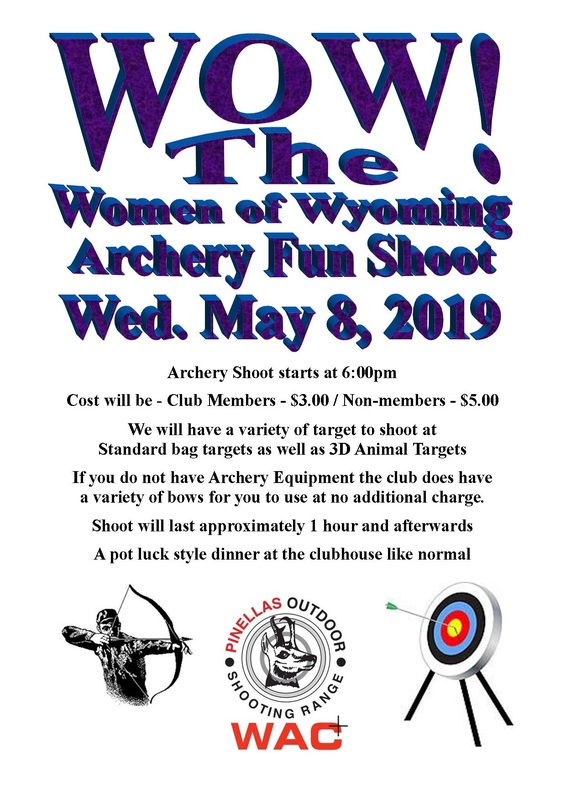 The Women of Wyoming (WOW group) have decided they want to shoot archery for their next meeting which is Wednesday May 8, 2019. This shoot is for the lady archers mainly, however men are welcome to come with their lady archers of course if they would like. 3 Archery Discipline RO’s will be present to help those who would like to learn to shoot. Ladies, we do “Pot Luck” dinner at our get-togethers. If you can bring something, we appreciate it, no worries if you can’t. Life & Work gets in the way sometimes and we ALWAYS have enough!! Put on your cowboy hat and come join the fun! We shoot the second Saturday of every month @ 9:00 AM (sign up opens @ 8:30AM). If you are new to action shooting you will work with one of our range officers until you feel comfortable then jump in and start shooting some stages. You may hear things like YEE Ha or boy howdy so get ready to have some fun! Learn More . . .
New Gun? Practiced recently? Time to have some fun. If you’ve never shot a gun before & want to try some out, there will be a selection of both revolver & semi-automatic for you to try, small caliber to lift your toes off the ground. Bring your eye & ear protection if you have it or we’ve got some extra’s available in the range shack. Targets provided. Come join the Wyoming Antelope Club black powder shooters for fun, competition and a chance to learn more about this entertaining and challenging discipline. We meet the 4th Sunday at 8:30 AM on the Bullseye Range. We have a 30 minute session prior to the start of our matches to practice, Learn More . . .